Southern California has seen a surge in accelerators and incubators looking to spawn new startups in the region. Among those startups is Sandalbay Life, a new healthcare IT firm which is resident at Los Angeles-based StartEngine, the accelerator being run by Howard Marks. Sandalbay Life is actually run by a serial entrepreneur with ties to Marks, Neil Malhotra. 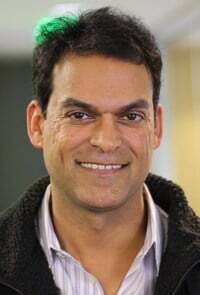 Malhotra co-founded Acclaim Games with Howard Marks, and has worked at eCompanies and eMind. We talked with Malhotra the other day at StartEngine to hear about what he's working on. Tell us a little bit about what Sandalbay Life is all about? Neil Malhotra: Our mission is to empower consumers to know and manage their health. The way we do that, is we are working with the manufacturers of fantastic devices coming out like the Nike Fuelband, Fitbit, and a whole host of others coming out. The challenge for those manufacturers is providing a software platform for those devices to run on for the consumers. We provide the white labeled, consumer software for the manufacturer to utilize. Neil Malhotra: I'm a Caltech engineering graduate, and started with the Internet with eCompanies with Sky Dayton, leading technology for Icebox. I was then recruited to eMind as CTO, which we sold to Kaplan. I then co-founded Acclaim Games with with Howard Marks, which we just sold to Playdom last year. So I'm bring all of that enterprise level application experience to health. Why did you decide to focus on health? Neil Malhotra: I have a mother that is older, and every month there is something going on. She talks about things that come up, and goes to the doctor, and the doctor says everything is fine. But, we both know--my mom and I--that things are changing, and we just don't have the ability to quantify that. So, I looked into the technology that was available, and it's something coming up in the next few years with these devices. I saw the challenge these device makers have in software. That's the challenge I want to solve. What's the model here--do you license this to manufacturers? Neil Malhotra: Yes, we very much want to be the Akamai of the health industry. We are charging a platform license fee so they can distribute that application with their devices. How far along are you with product? Neil Malhotra: We have a prototype available now, that we are demonstrating to these manufacturers. We're currently looking for seed level investment to fund the full development of the product for actual implementation. We're looking at a bout a six month timeframe before coming out to consumer. What's the biggest advantage you think you offer to these manufacturers, versus them developing their own platform? Neil Malhotra: These software platforms require 24/7 operations, they require customer support teams, and require a cross platform application suite. That takes a lot of resources to manage and develop. While some of the bigger players, and initial movers have made investments in that area, it's not a practical investment for the whole host of manufacturers out there. Remember that so much of the manufacturing base is located in China. So, when that base gets active in this field, they're going to need a software solution.